President Jacob Zuma travelled to Havana, Cuba, to attend the funeral of the late former President of Cuba, His Excellency Fidel Castro Ruz, who passed away on Friday, 25 November 2016, at age 90. The President has conveyed a message of condolences to the Government and the people of Cuba, following the passing on of former President Castro. President Zuma ordered that the National Flag be flown at half-mast at all stations in South Africa until 4 Decembe 2016, on the date of the funeral of former President Castro. The National Flag is also flying at half-mast in the South African Mission in Cuba until 4 December. Condolence books have been placed at the Union Buildings in Pretoria, Tuynhuys in Cape Town and at the offices of the premiers throughout the country. The late President Castro not only identified with the struggle against apartheid, but also inspired the Cuban people to join South Africans in that struggle. After South Africa gained freedom in 1994, Cuba and South Africa, under President Castro and President Nelson Mandela respectively, formed a strong bond of solidarity and friendship. President Zuma has reiterated that the people of South Africa shared the loss of the Cuban people and stood with them in this time of grief and mourning. 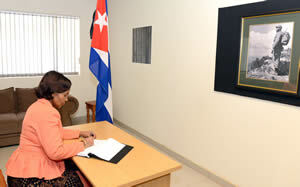 On 2 December, the Minister of International Relations and Cooperation, Maite Nkoana-Mashabane, signed a condolence book for the late President Fidel Castro at the Cuban Embassy in Pretoria. In an interview afterwards with Ubuntu Radio, the Minister said that the people and Government of South Africa paid tribute to one of the greatest revolutionaries of our time and one of the greatest heroes of the 20th century, Comrade President Fidel Castro Ruz. The two heads of state reviewed bilateral cooperation between their two countries as well as the latest regional political and security developments on the continent. 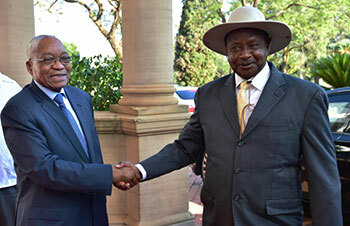 On 28 November 2016, President Jacob Zuma hosted his Ugandan counterpart, President Yoweri Museveni of the Republic of Uganda, at the Presidential Guesthouse in Pretoria. As part of the campaign, government will also convene a series of National Dialogue Sessions on Violence against Women and Children across the country towards finding collective solutions to end the abuse in communities. President Jacob Zuma launched the16 Days of Activism for No Violence against Women and Children Campaign on 25 November 2016 at Lebowakgomo Civic Centre, Lepelle-Nkumpi Local Municipality, Limpopo. This year’s event is marked under the theme “Count Me In: Together Moving a Non-Violent South Africa Forward”. The United Nations has proclaimed 25 November as International Day of No Violence Against Women. The visit was also an opportunity to promote South Africa as a trade and investment destination to Azerbaijan and to the Caspian region at large. 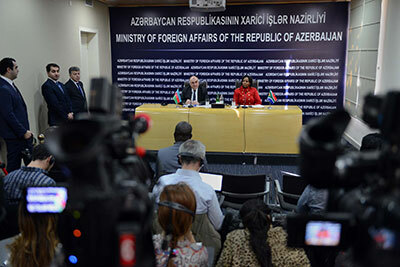 The Minister of International Relations and Cooperation, Maite Nkoana-Mashabane, undertook a Working Visit to Baku, Azerbaijan, from 28 to 29 November 2016. The purpose of the Working Visit was to hold the First Session of Regular Diplomatic Consultations at Ministerial Level, agreed to through a Memorandum of Understanding signed in Pretoria in February 2014. During her visit, the Minister paid a courtesy call on the President of the Republic of Azerbaijan, Ilham Aliyev, met Shahin Mustafayev, Minister of Economy of the Republic of Azerbaijan, and hold discussions with her Azerbaijan counterpart, Minister of Foreign Affairs, Elmar Mmamadyarov. 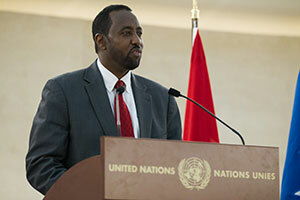 The Minister also visited other institutions to promote inter-institutional and people-to-people cooperation. Azerbaijan is considered as one of the most important countries in the world in oil exploration and development. The expansion of the oil and gas sector has enabled Azerbaijan to record rapid real gross domestic product growth in recent years. Other important sectors are transport, agriculture, construction, services and manufacturing. In 2015, South African exports to Azerbaijan were approximately R217 million and imports approximately R4 million. Trade and investment relations between South Africa and Azerbaijan have the potential to grow beyond the current figures. Other significant partnerships between South Africa and Azerbaijan included the signing of the Memorandum of Understanding between the Diplomatic Academy of the Department of International Relations and Cooperation of the Republic of South Africa and ADA University of the Ministry of Foreign Affairs of the Republic of Azerbaijan. The new Pan-African platform for advancing intra-Africa trade dialogue is aimed at providing a comprehensive, integrated and inclusive platform for policy dialogue. 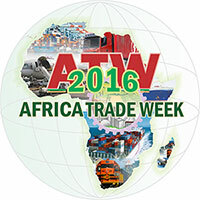 The Minister of Trade and Industry, Rob Davies, attended Africa Trade Week in Addis Ababa, Ethiopia, recently. In a statement, the Department of Trade and Industry said the Minister would participate in three panel sessions. The panel sessions related to the Continental Free Trade Area (CFTA) and the continental integration agenda as espoused in the African Union’s (AU) Agenda 2063. Minister Davies also attended the AU’s Ministers of Trade Meeting where ministers considered the progress of the CFTA negotiations. The CFTA negotiations were launched by AU heads of state and government during the AU Assembly, held in Johannesburg on 15 June 2015. The CFTA aims to boost intra-Africa trade and build an integrated Africa of one billion people and a gross domestic product of approximately 2,6 trillion US dollars. Minister Davies also engaged on key international trade issues such as the World Trade Organisation, Africa Growth Opportunity Act, Economic Partnership Agreement, and the implications of the Brexit, as well as the international investment landscape. South Africa was elected for the second term as a member of the Universal Postal Union (UPU) Council of Administration, the decision-making body of the UPU in between congresses. South Africa has been assigned the responsibility of chairing the new Committee dealing with Strategy over the next four years in the Council of Administration. The Minister of Telecommunications and Postal Services, Siyabonga Cwele, recently hosted Ambassador Bishar Hussein, the Director-General of the UPU, to discuss the development of an E-Commerce Platform through post offices. Ambassador Hussein visited South Africa shortly after the conclusion of the 26th UPU Congress, which took place from 20 September to 7 October 2016 in Istanbul, Turkey, where he was re-elected Director-General of the UPU for the period 2017 to 2020. The visit by Ambassador Hussein aimed to unpack the key priority programmes between 2017 and 2020, including developing an e-Commerce platform through post offices. At the recent Africa seminar that was held at the International Bureau, South Africa was identified as as one of the pilot countries on the continent for developing an e-commerce project during 2017 to 2020. The UPU has identified e-commerce as key to the survival of post offices as mail volumes continue to decline. This view is supported by the African Union and was endorsed in 2015 by African ministers responsible for postal services. The continent views post offices as key institutions to deliver letters and parcels and, most importantly, foster financial inclusion, especially of those in rural areas. Last year, Cabinet approved the turnaround strategy of the SA Post Office (SAPO), charging SAPO to look at revenue diversification and profitable revenue growth from diversified customer base and product mix. e-Commerce is one key element of the SAPO corporate plan. Ambassador Hussein also visited the SAPO Head Office, the Johannesburg International Mail Centre and Durmail and the Dube Tradeport in Durban. Since the beginning of the signed Memorandum of Understanding, over R70 million has been invested, which allows active participation of South African researchers in joint projects in nuclear physics at the Joint Institute for Nuclear Research (JINR). In addition, a total number of 242 students from various South African universities have participated in the annual student practice. From 28 November to 1 December, South Africa and Russia reviewed their 10-year relationship in nuclear research. The two countries signed a bilateral agreement on joint nuclear research in 2005, which was followed by the signing of a bilateral agreement between the Department of Science and Technology (DST) and the JINR. Senior officials from the two countries participated in a four-day forum, which was addressed by DST Director-General, Phil Mjwara, and the JINR Director-General, Prof. Victor Matveev. Discussions, among others, focussed on Russia’s collaboration with the country’s Nuclear Energy Corporation of South Africa and Ithemba Labs. The JINR is an independent, multinational research agency in Dubna, Russia. It conducts theoretical and practical research, mainly in the fields of elementary particle physics, nuclear physics and condensed matter physics. The institute comprises eight laboratories and employs over 6 000 people. South Africa enjoys “associate membership” status via the bilateral agreement signed between the institute and the DST. Through this cooperation, South Africa’s nuclear research community has actively participated in many research activities at the JINR such as neutron applications, computational physics, as well as theoretical physics. In addition, South Africa has benefited significantly in the area of human capital and research capacity development. The dashboard was launched in Johannesburg recently by Right to Care in collaboration with the Department of Health, National Health Laboratory Service, National Institute of Communicable Diseases and Boston University. The first national CD4/viral load monitoring dashboard has been launched in South Africa to help doctors and nurses keep a close eye on the health of HIV/AIDS patients and reduce fatalities caused by illnesses linked to the epidemic. The ultimate goal of the dashboard is to reach the Joint United Nations Programme on HIV and AIDS (UNAIDS) 90: 90: 90 target set for 2020, which says 90% of people infected with HIV should be diagnosed, 90% of them should be on treatment and 90% of them should have their viral load suppressed. South Africa only has 36 months to reach the target, and it is expected that this initiative will be rolled out to nine provinces between January and March 2017. It is estimated that there are nearly 6,75 million people infected with HIV in South Africa, with 3,3 million on treatment. Of those who have undergone viral load testing, over 80% are viral load suppressed. SAnews spoke to the Director-General of the national Department of Health, Dr Yogan Pillay, in an exclusive interview at the launch. He said the dashboard data would be communicated monthly and quarterly to all provinces and districts through 4 000 health facilities in the country that were providing services to patients. The dashboard displays and analyses data in a way that healthcare professionals involved in managing the epidemic can easily engage with. It provides information at a national, provincial, district and individual level. Pillay said although the programme would be used by health practitioners, patients would feel the benefits as their quality of life would improve as a result. Pillay said while the number of people accessing treatment increased, there was concern that the number of those defaulting would also increase. “Two things happen when patients default treatment. One, they get sick … we think they are taking medication but they are not. The second thing is that they can transmit the virus. 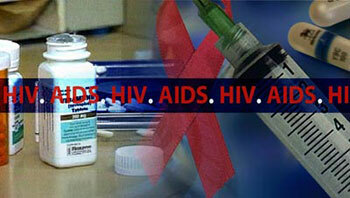 That is why viral suppression is good for the patient, and good for the community they are living in,” said Pillay. Income from accommodation only – which excludes restaurant and bar sales and other income – increased 8,9% over that period‚ Statistics SA reported recently‚ with stay unit nights sold up 2% while the average income per stay unit night sold rose 6,8%. The tourist accommodation sector’s income grew 7,1% in September from a year earlier‚ more than double the pace of the 3.5% increase reported last month for August. 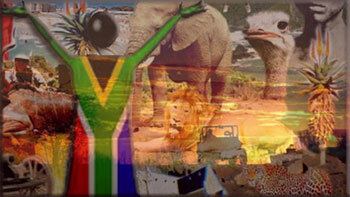 South Africa's tourism sector was affected by the introduction of new visa requirements and concerns about Ebola. The eradication of the disease in Africa‚ a weaker rand and the easing of the visa restrictions have combined to lift foreign visitor numbers this year. Overseas arrivals climbed about 24% in the first eight months to August. The overall figure‚ including visitors from the rest of Africa‚ rose about 14%‚ Tourism Minister, Derek Hanekom, said recently. Forward bookings were also looking good‚ he said‚ with December and January big tourism months for United Kingdom visitors. For the three months to September‚ income from accommodation rose 12,6%‚ after a 13,4% increase in the three months to August. 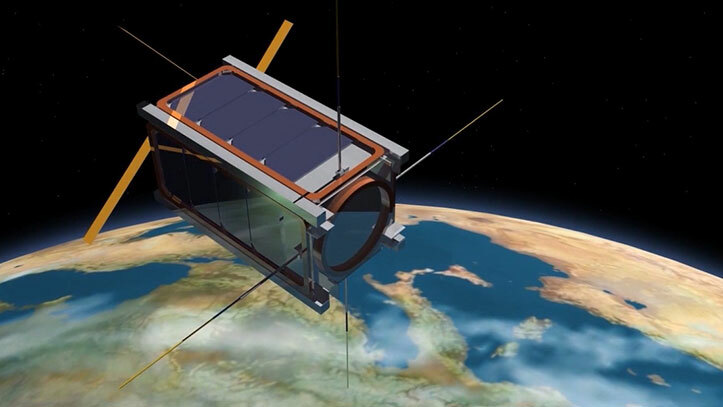 Named nSight1, it forms part of the European Commission's QB50 project; in total, 50 satellites from various countries will be launched into space. Weighing some 2,5 kg, a nanosatellite designed and made in South Africa will be launched in early 2017 from the International Space Station. It will be used for research. The devices will collect data for atmospheric research in the lower thermosphere between 200 km to 380 km altitude. The data will be used to complement current atmospheric models used by operators in the space industry. The building of nSight1 was managed by an umbrella company, SCS Aerospace Group, in Cape Town, which has eight subsidiary companies. It provides commercial satellite solutions such as advanced engineering services, decision-making and operational solutions. Dr Sias Mostert, chairperson of the SCS Aerospace Group, said the group was proud to be a part of the QB50 project. "It presents the opportunity to showcase South Africa's ability in the space industry. "Almost all the systems and components on this satellite were manufactured and assembled within six months with South African partners." Those who contributed to the building of the nanosatellite included the Space Advisory Company, Stellenbosch University, CubeSpace, Cape Peninsula University of Technology, Nelson Mandela Metropolitan University, Pinkmatter Solutions, the Amateur Radio Society and NewSpace Systems. Launching the satellite will also provide a chance to test newly developed technologies such as SCS Gecko Imager as well as Nelson Mandela Metropolitan University's patented Radiation Mitigation VHDL Coding Technique. "It forms part of a line of satellites to establish space heritage for a new generation of high-performance remote-sensing cameras," said Mostert. "The camera technology being tested on the nSight1 nanosatellite was developed with initial support from the South African Department of Trade and Industry's AISI programme." Software company Pinkmatter Solutions said it usually provided its services to the international space market. But CEO Chris Böhme welcomed this local venture. "As a South African company, we are stronger by working together to provide more value to continue our success story in the international market." The hospital will open on 3 December – the 49th anniversary of Barnard's historic operation. A walk through the corridors of the new Christiaan Barnard Memorial Hospital in Cape Town is like a stroll through medical history centred around the man who pioneered the world's first successful heart transplant and those who helped him do it. There are no abstract paintings mounted on neutral walls in the newly constructed R700-million hospital – instead exhibitions in tribute to Professor Christiaan Barnard and his team's historic surgery in 1967 are present throughout the building, from the foyer to the wards. Netcare CEO, Dr Richard Friedland, said recently the hospital was intended to be a living tribute to Barnard and other pioneers of important medical innovations in South Africa. "We were not seeking to create a museum –- as that already exists at Groote Schuur – but rather a subtle, sophisticated and nuanced recognition of the first heart transplant and other medical innovations, while acknowledging the irony that this global clinical milestone occurred in the context of a backward and exclusionary political system," he said. "In understanding the wider context of apartheid and the times of the 1960s, the exhibition speaks to human potential, determination and hope in the face of injustice and perceived impossibility." The exhibits aim not only to honour and describe the significance of Barnard's feats and the role that his team played in his success, but also acknowledge "the damaging and negative socio-political context in which they practised". "The dedicated and trusted team of professionals who supported him, some of whom continue their practice to this day, are an integral part of this history and many superb insights come from their recollections of the event," Friedland said. "In the history of medicine and surgery, the first heart transplant, which has since become a commonplace procedure, will always be recognised as one of the seminal pioneering surgical innovations of all time." Bowie, who died on 10 January 2016, was renowned not only for his music and film work, but also as a dedicated patron of the arts. His notable art collection, accumulated over 40 years, featured examples of some of the world's best modern works. The impressive art collection owned by musician, songwriter, actor and writer David Bowie was sold on auction at Sotheby’s, London in mid-November 2016. The collection of more than 300 sought-after works included a number of pieces by African and South African artists. The collection sold for £24, 3 million, or R424,37 million. His fondness stretched beyond post-modern outsider art – including United States trailblazer Jean-Michel Basquiat and English art provocateur Damien Hirst – and influential post-war British painters such as figurative painter Frank Auerbach. 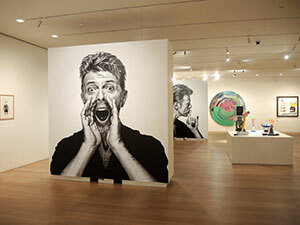 Bowie also collected numerous contemporary African art pieces, including work by South African artists. He developed a great love of and enthusiasm for Africa and its artists during an extended visit to the continent in the late 1990s, which included visits to Kenya, Benin and South Africa. In an 1995 essay for Modern Painters magazine, Bowie wrote enthusiastically about his love of African art, describing the artists he met as having "only one common thread: an unquenched thirst for national- and self-understanding". A visit to a wide-ranging exhibition of African artists at the Johannesburg Biennale during this time, Bowie described "as mind-jarringly moving as any major art-thing I’ve seen, East, West or Middle, in any year". He went on to champion the continent's artists with a number of exhibitions of his ever-growing collection in New York and London, hoping to "challenge our preconceptions of otherness and establish African art as being some of the most tantalising and provocative work to be seen". Bowie presented his first solo exhibition of art influenced by his relationship with African artists in London in 1996, which included a critically acclaimed collaboration with South African artist Beezy Bailey. Artists Norman Catherine, David Koloane, Peter Bongani Shange, Percy Konqobe, Willie Bester and Penny Siopis represented the continent in the Bowie collection. Following the auction, Sotherby's said that the South African art drew almost 10 times its presale estimate, setting new international records for five of the local artists. 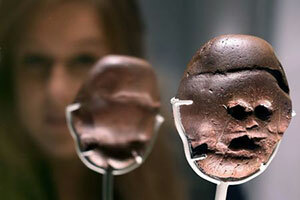 Experts theorise a very early ancestor of humans, "Australopithecus africanus", picked up the pebble and took it home, mainly because it was interested in a pattern of lines on the surface that, even today, look startlingly like a face. In a corner of the British Museum's new South African exhibition, near an ancient golden rhino and a collection of apartheid-era campaign badges, sits a glass case holding a pitted, reddish-brown stone. It is the Makapansgat pebble, on display for the first time in its three-million-year history, and curators reckon it is an object that, in its own way, outshines the other treasures in the museum's halls. "This is an example of early curiosity, a pre-cursor to true art that some people have called the earliest piece of art of anywhere in the world, the earliest piece of found art," said John Giblin, co-curator of the show "South Africa: the Art of a Nation". The naturally-formed pebble – also known as the stone of many faces – was found in Makapan valley in Limpopo province near some Australopithecus remains in the 1920s, several kilometres away from its likely source. 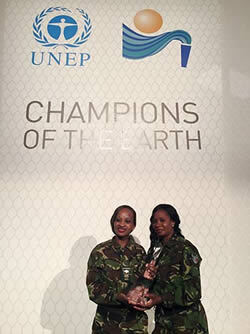 The movie is said to be based on the true story of the Black Mambas, the brave women who’ve taken on poachers in the Balule Nature Reserve, protecting the western boundary fence of the Greater Kruger National Park … and being awarded an international United Nations “Champions of the Earth” prize in the process. South Africa’s legendary mainly-female anti-poaching team – the Black Mambas – are set to be immortalised on screen in a new Hollywood movie produced by actress Jessica Chastain. The IndieWire has reported that two-time Oscar nominee Jessica, more famous for her acting than producing, has teamed up with “The Walking Dead” star Danai Gurira who will write the drama. Danai wrote the Tony-Award winning play “Eclipsed”. South Africa’s beautiful country's iconic landscape and wildlife – paired with impeccable service and the warmest of welcomes in the world – has ensured four stunning South African boutique hotels top spots among the world's best boutique hotels. This is according to the World Boutique Hotel Awards 2016, recently announced at a gala event at the Merchant Taylors’ Hall in London. At the event, Africa’s Best Classic Boutique Hotel for 2016 was awarded to Grand Dédale Country House in Wellington, while the very best Honeymoon Hideaway on the continent this year goes to Pondoro Game Lodge in Hoedspruit. The Best Private Villa in Africa for 2017 is 26 Sunset Villa overlooking the iconic Llandudno beach in Cape Town, while Africa’s Best Relaxation Retreat was named Rhulani Safari Lodge in Madikwe. Rhulani Safari Lodge in the North West province was also recently named the world's very best luxury bush lodge at the Luxury Hotel Awards. 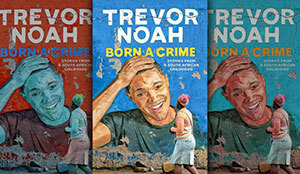 Trevor's book is titled "Born a Crime" and is about his childhood growing up during the last days of ppartheid. One of South Africa's most popular celebrity exports, Trevor Noah, now has a book on the New York Bestseller list. LIRA RECORDS SONG FOR DISNEY'S "MOANA"
Lira’s recording will feature on the South African version of the film as the first end-credit song when "Moana" hits cinemas from Friday 2 December nationwide. In addition, fans will be able to purchase the single from the South Africa iTunes Store from 9 December. 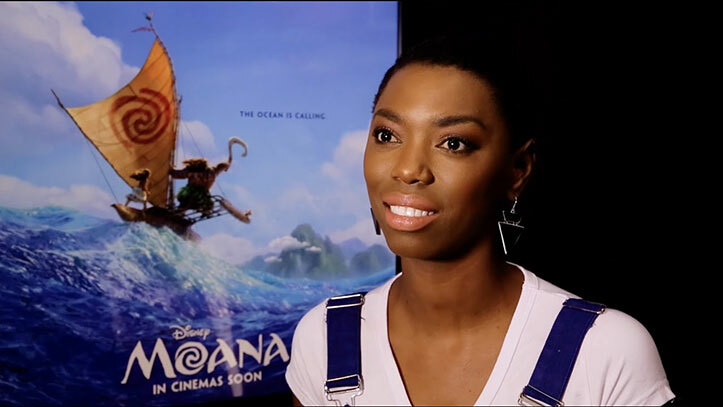 South African singer-songwriter and performing artist Lira, has recorded her own version of How Far I’ll Go, from Disney’s upcoming animation comedy adventure film Moana. For the track, Lira recorded a special music video and behind the scenes exploration that delves into how the track came to life. Van Niekerk, who also won the award last year, made headlines at the 2016 Rio Olympic Games when he won gold in the 400 m, setting a new world record with a time of 43.03. Sprinter Wayde van Niekerk won the South African Sport Star of the Year Award on Sunday, 27 November. 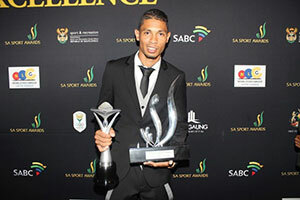 For his award as SA Sports Star of the Year, Van Niekerk won a new car and R1 000 000, half of which will go to charity. The 24-year-old also won the SA Sportsman of the Year award, while Caster Semenya won the SA Sportswoman of the Year award. Semenya won gold in the 800-m event at the Olympics – in a time of 1:55:28. Meanwhile Van Niekerk’s coach, Ans Botha, won Coach of the Year, while Mamelodi Sundowns won Team of the Year after claiming the PSL and CAF Champions League titles. Shield of Jove, Best Performer at the Olympics: Wayde van Niekerk. The Proteas will look back on an excellent series in which they dominated the first two matches and didn’t give the Australians much of a look-in. This was a real team performance with five of the seven specialist batsmen scoring centuries in the series and the three frontline seamers all having excellent returns. Australia may have clinched a seven-wicket win over the Proteas in the third Test match at the Adelaide Oval, but South Africa leaves victorious, having won the series. 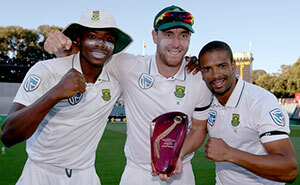 South Africa’s Vernon Philander was named Player of the Series. Usman Khawaja was named Man of the Match for his first innings century. Philander restored his ranking as one of the best all-rounders in current Test match cricket, averaging 27 with the bat and 23 with the ball.